The objective of the "International Award UCLG - MEXICO City - Culture 21" is to recognise leading cities and people that have distinguished themselves through their contribution to culture as a pillar of sustainable development. The Award is expected to contribute to the dissemination and implementation of Agenda 21 for culture. 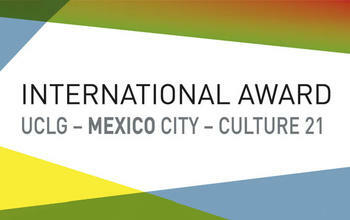 The Award proves the leadership of Mexico City in the area of culture and sustainable development. This leaflet provides detailed information on the Award.